Here you will find links to all of the music composition lessons on the site. You can, of course, begin with any topic that looks interesting to you. My recommendation is that you make sure that you are familiar with the information in the theory-oriented section before moving on to a free music composition lesson. 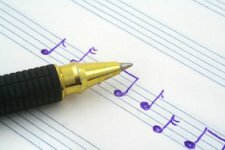 Free-Music-Composition-Lesson: Get help with song writing! Once you are familiar with the basics of music theory, start listening to your favorite music with an ear toward analyzing it in light of your knowledge of theory: What key is it in? What chord progression(s) does it use? Are the chords triads or extended chords? What form does it use? Ask and answer as many questions about the particular piece of music as you can think of. 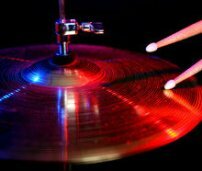 By analyzing your favorite music, you will gain useful insights into how to write your OWN music. In fact, you might even want to analyze you "un-favorite" music so you will understand what you DON'T want to do! Leave "Free Music Composition Lesson" and Go To "Absolutely Free Music Lessons"